SORRY! ALL GONE! BE SURE TO JOIN THE MAILING LIST SO YOU DON'T MISS OUT ON FUTURE FREE GIFTS. For a limited time, while stocks last, we're giving away a free box of Hotel Chocolat 'Yummy Mummy' milk chocolates with every order of £10 or over. Just add items to your basket as usual and check out and we'll put a sweet treat in your parcel along with your purchase - a little Mother's Day gift from us to you. 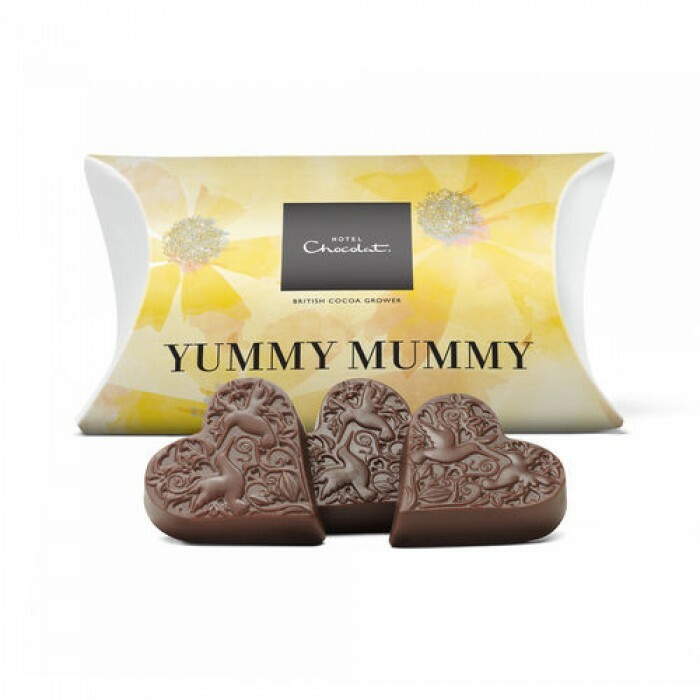 Yes, it's true - we've got a limited quantity of Hotel Chocolat 'Yummy Mummy' Mother's Day heart-shaped chocs and every order of £10 or over qualifies for a freebie until we've run out. So don't be slow, because these delicious chocs will not last long. To make sure you don't miss out on our next special offer, like us on Facebook, follow us on Twitter or join our mailing list. It will be added automatically when you check out! Please note this promotion is not endorsed by Hotel Chocolat - we just love their chocolates and we reckon you will, too! Weight 27.00 g / 0.90 oz. Storage instructions Store in a cool dry place away from strong odours.